India cricket captain Mahendra Singh Dhoni tied the knot with childhood friend Sakshi Singh Rawat on Sunday night in a private ceremony attended only by family members and close friends, including a few of his team-mates, at a farmhouse in Dehradun. Dhoni, 28, and Rawat had been school friends at DAV, Shamily in Ranchi. "Their fathers worked together in MECON, and the Rawats moved to Dehradun after retirement," a close family friend said. 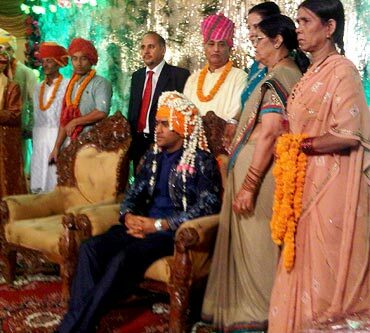 The wedding at the picturesque Vishranti Resorts at Bidhauli, about 25km from Dehradun, was strictly a private affair with only 50-60 close relatives from both the families of the bride and the groom, along with few of Dhoni's India team-mates, attending. Although family sources had indicated after the engagement that the marriage will take place in October, India's tight schedule in the next few months might have prompted the preponement. The couple is expected to host a reception in Mumbai on July 7, which also happens to be Dhoni's 29th birthday. The wedding at the luxury resort had its share of glamour as Dhoni's friend John Abraham and director-choreographer Farah Khan gracing the occasion. Harbhajan Singh, Ashish Nehra, RP Singh, Suresh Raina and Rohit Sharma were among Dhoni's cricketer friends who were present at the wedding, according to a family member who attended the ceremony. 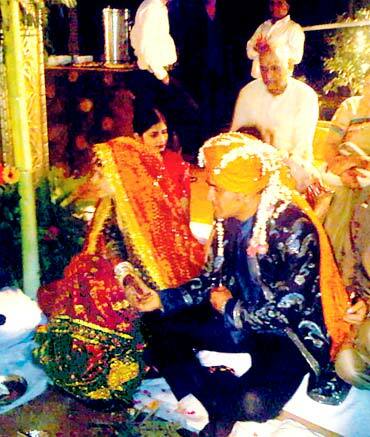 "Wishing Mahi and Sakshi a very happy life together forever. 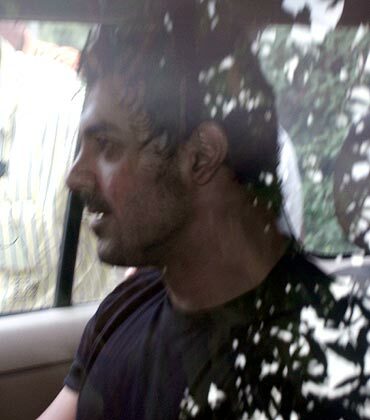 Sad that I can't be there," John's girlfriend Bipasha Basu said on Twitter. 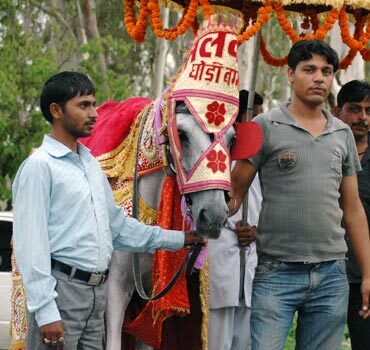 The marriage rituals commenced around 8pm when Dhoni on a horseback and the groom's party walked for around half a kilometer to the bride's place, located at the same resort premises. 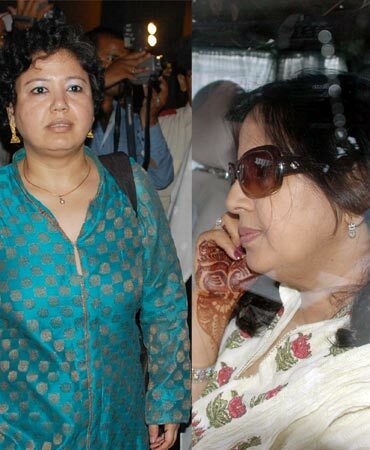 Dhoni wore a black 'sherwani' while Sakshi was dressed up in white 'churidar-pyjama'. The wedding, for which only a few close family members and friends were invited, was a simple affair minus any alcohol. The food served for the guests was Indian and all these arrangements were made by Dhoni's Delhi-based sister Jayanti. Tight security was thrown around the resort. The media was practically kept out of bounds and they had to station themselves at a 1 km distance from the main gate of the sprawling resort and the news relating to the wedding ceremony inside came out in trickles. Even the select guests who attended the wedding ceremony were seen being brought into the resort in four vehicles kept for the purpose. 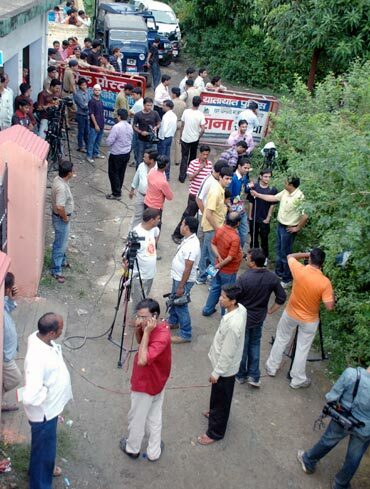 Dhoni's fans came out in the streets in Ranchi and distributed sweets among themselves. One fan was relieved that Dhoni decided to marry a "girl-next-door". "We are relieved today; he is marrying to a girl who is just like a girl next door ... three cheers for Dhoni and his life partner," said Anuj Kumar, a Dhoni fan. Sakshi, 23, is a hotel management student and her family have their roots in Dehradun, where her father returned after his retirement. Her grandfather, a retired divisional forest officer, was also permanently settled in Dehradun. One of her cousins, Abhilasha Bisht was posted here as deputy inspector general of police until recently, when she moved out on a United Nations (UN) assignment. "We have been requested by the family members that the wedding should be totally a private affair," said the police official. 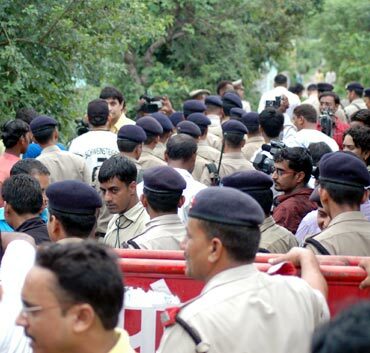 Besides a large number of private security personnel, stated to have been brought from Delhi, a large contingent of police were also been deployed to keep the "unwanted" at bay. "Apparently, the wedding ceremony of the cricketer was kept under wraps because the families wanted it to be a totally private affair; and why not? They have full right to their privacy", Uttarakhand director general of police Subhash Joshi said, while confessing, "most government officials including myself, were not invited."